Come join us and celebrate the music of one of the greatest Boy/Man Bands of all time! 2019 is the 30th year anniversary of this legendary group that have had 7 UK number 1 albums, 12 number 1 singles and a massive 28 top 40 hits! "Could it be magic" take you on a nostalgic journey from the iconic 90’s all the way back to present day, all the routines & floor-fillers and of course the ballads, let’s relight the fire & have a night you will Never forget! 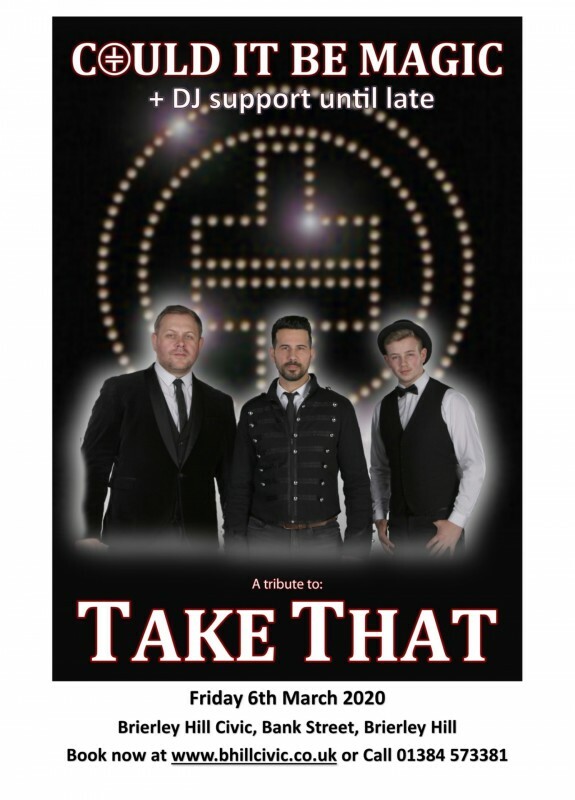 A great party DJ will support the band and play classic tunes spanning the "Take That" era until 1am making this a great value night out! **Due to the popularity of this show there may be limited seating available on a first come first served basis.